Our operation of fishing is a team play. 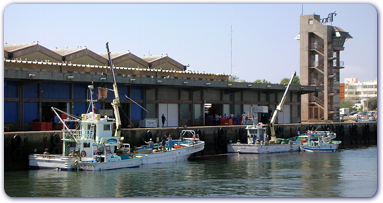 Two main boats, other small boats and all the fishermen are working together with rhythmic breathing. The boats set off from our base port, Olhão port. In high season, the operations are done 3-4 times in a day occasionally. 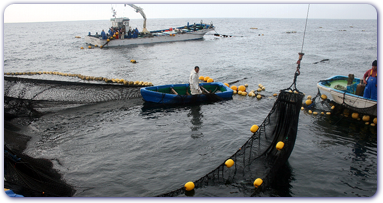 We use many machines and equipments such as the crane and the take-up equipments of the net on the boat. It enables us to do the quick operation with lower manpower. Fish we caught are put into the tank with ocean water and ice immediately. 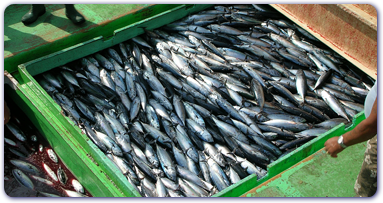 Fish are drew up immediately after the boats come back to the port. Most of them are sold at the auction of the fish market. 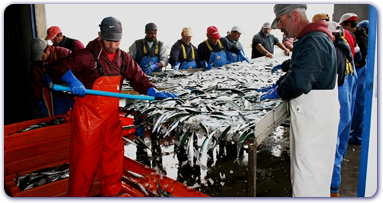 All the time, we are taking particular care to the fish with the expedition and the suavity. 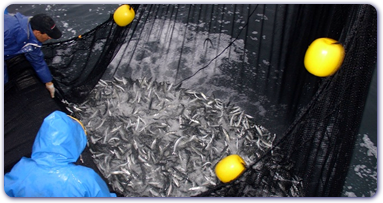 It enables us to keep the high quality and the freshness, and we believe it leads to make effective use of the fishing resources.